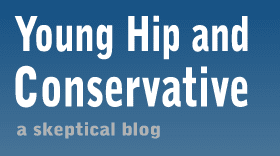 Young, Hip and Conservative: a skeptical blog: Has Peter Morici ever been told? Once again Peter Morici, who is commonly introduced as an economist because he teaches some economics classes at the University of Maryland, has written a bogus opinion piece claiming that a disaster is good for the economy. That is, the unwanted destruction of valuable resources leads to a greater number of resources in the same area. Morici has been penning articles like this for a long time, and he's immediately smacked down by people like Don Boudreaux and Mike Munger. What's different this time I noticed is that the commenters to the original article tore it apart right away. Boudreaux has called Morici out on these claims before. Henry Hazlitt even wrote a book about why Morici is wrong in 1946. They are far from alone in their criticism. What I don't understand is why Morici keeps on trucking like nothing is up. Does he know that he's a court jester? Has no one told him the gaping flaws in his arguments so he can respond to pick up the remains scraps of his dignity? I don't advocate violence or criminal activity, but since Morici is claiming it's in everyones interest to destroy, why hasn't he asked anyone to burn down his house?